Hollywood’s biggest night has finally arrived! The Oscars will wrap up the 2017 awards season on Sunday, February 26, and Us Weekly has the inside scoop on how to watch it and what to expect. The show, which will be hosted by Jimmy Kimmel, will air on ABC at 8:30 p.m. ET, with red carpet coverage kicking off at 7 p.m. ET. Fans without a TV can also stream the full show online at abc.com or on the ABC app. 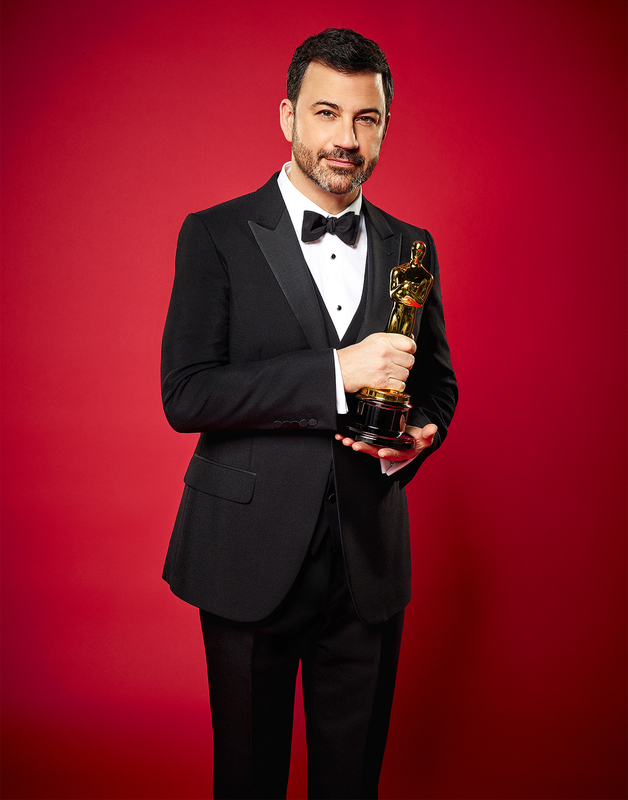 This will be Kimmel’s first time hosting the Oscars, though he has hosted the Emmy Awards in both 2012 and 2016, and helmed the 2008 ESPYs. The Jimmy Kimmel Live! star has also tackled the hosting gig for the American Music Awards on ABC five times. Kimmel has been playing up his long-running “rivalry” with Matt Damon in the lead-up to the awards show, and posted a pic on Instagram on Thursday showing him defacing a pic of the actor, who is nominated for an Oscar this year as a producer of Best Picture nominee Manchester by the Sea. The most-nominated film of the year, La La Land, is up for 14 Oscars, including Best Picture and nods for both of its lead actors, Ryan Gosling and Emma Stone. The nostalgic Hollywood love story ties with the all-time record holders All About Eve and Titanic for the most nominations. Moonlight is another tough contender, nominated in eight categories, and is viewed by many as the biggest threat to La La Land’s Best Picture win, especially given its many wins during this awards season. The film won six Independent Spirit Awards on Saturday, February 25, including Best Feature, Best Screenplay and Best Director. In the Best Actor category, film buffs are divided in a close competition between such heavyweights as Denzel Washington (Fences), Casey Affleck (Manchester by the Sea), Viggo Mortensen (Captain Fantastic), Andrew Garfield (Hacksaw Ridge) and Gosling (La La Land). Stone’s competition in the Best Actress category is just as fierce: Natalie Portman (Jackie), Meryl Streep (Florence Foster Jenkins), Isabelle Huppert (Elle) and Ruth Negga (Loving). Some of the industry’s biggest names will be taking the stage as presenters at this year’s Oscars, including Amy Adams, Dwayne “The Rock” Johnson, Janelle Monae and Charlize Theron. Chris Evans, Halle Berry, Riz Ahmed, John Cho, Scarlett Johansson, Samuel L. Jackson and Kate McKinnon are a few others. Jennifer Aniston has also been announced as a presenter, along with Matt Damon, Ryan Gosling, Michael J. Fox, Warren Beatty, Faye Dunaway, Meryl Streep, Octavia Spencer and Taraji P. Henson. Seth Rogen, Vince Vaughn and Jason Bateman are also handing out awards on the big night. Though the Oscars aren’t as performance-heavy as, say, the Grammys, plenty of music’s brightest will be on hand to make the night a musically memorable one. Justin Timberlake, John Legend, Sting and Lin-Manuel Miranda are just a few of the familiar faces that will make sure the Oscars hit all the high notes. Timberlake teased his performance, posting a pic on Instagram on Sunday afternoon that showed him rehearsing with a group of dancers. “We ready. You ready?” he captioned the pic. This year, the “Everyone Wins” nominee swag bag will be given to the 25 actors and directors nominated for Oscars. “When people hear there’s a gift bag worth six figures being given out, we actually get calls from those not in the categories we gift,” Distinctive Assests founder Lash Fary, who will create the 2017 goodie bags, told CNN. Though Fary would not dish on the retail value of this year’s gift bag, he told the outlet it will be filled with everything from personalized crayons to a vacation at a luxe villa on the south shore of Kauai. The theme of the 2017 Governors Ball, the Academy’s official post-Oscars bash, is “magical transformation.” Celeb chef Wolfgang Puck will set the menu for the 23rd consecutive year, with new dishes including Moroccan-spiced Wagyu short rib topped with a parmesan funnel cake; lobster corn dogs; and gnocchetti with braised mushrooms and cashew cream. Producers announced on Thursday, February 23, that Sara Bareilles will perform the “In Memoriam” during Sunday’s ceremony. “Sara’s unique artistry will honor those we’ve lost in our community, including familiar faces and those behind the scenes who have enriched the art of moviemaking,” Michael De Luca and Jennifer Todd said in a press release about the news. Us Weekly will be covering the Oscars from start to finish, from the red carpet to the awards show to all the afterparties, so be sure to check back for the inside scoop!